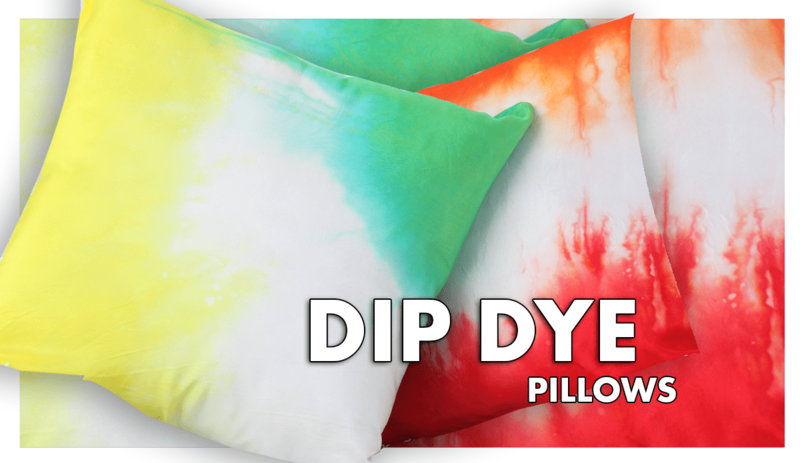 Use 100% cotton fabric for dyeing. 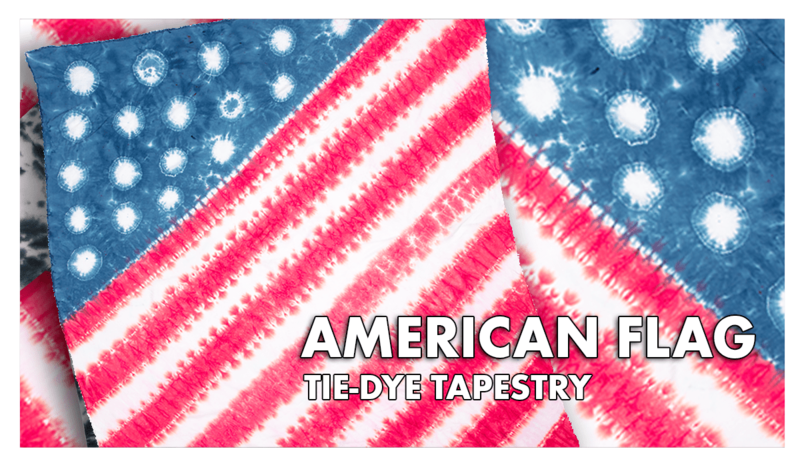 Tip: A section cut from a white T-shirt would work perfectly! 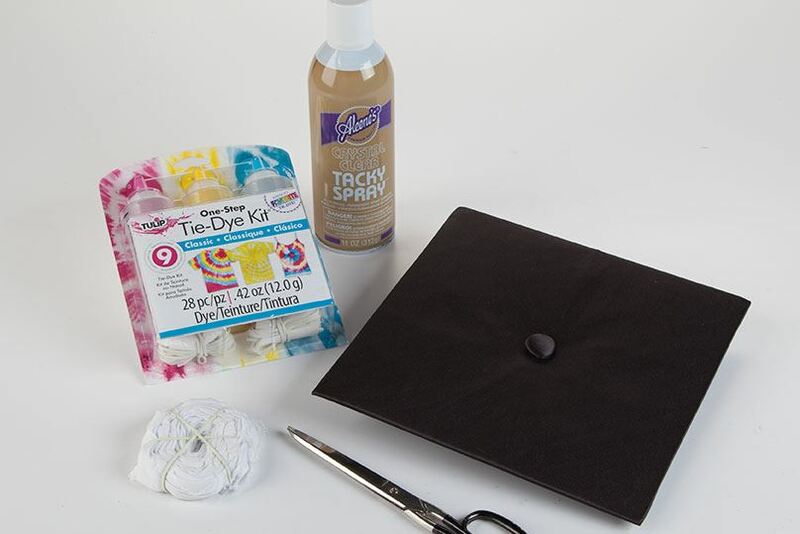 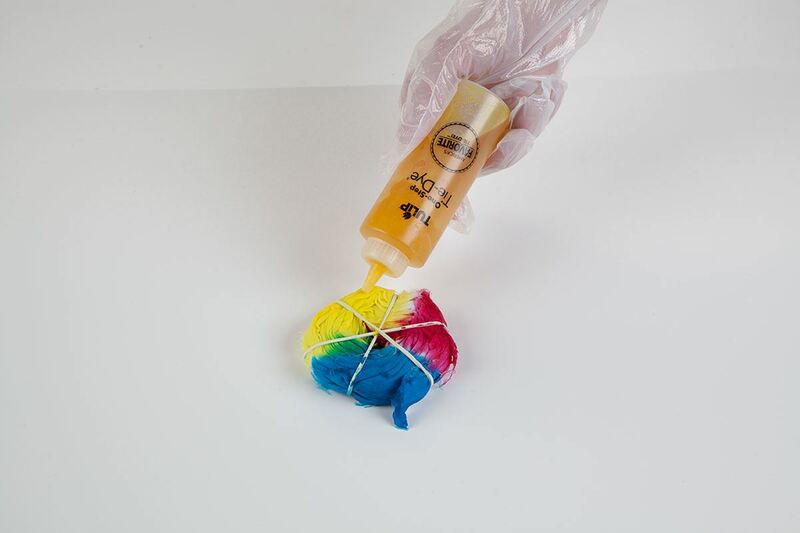 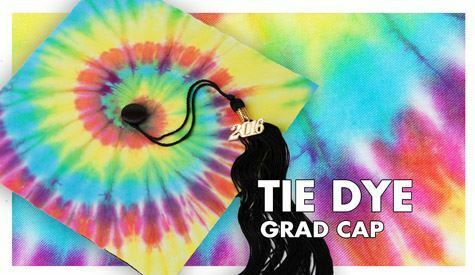 Bind fabric according to your favorite tie-dye pattern, then add dye colors. 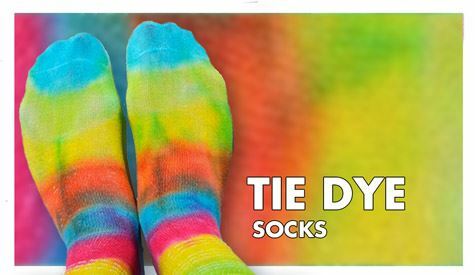 Let set and launder according to dye instructions. 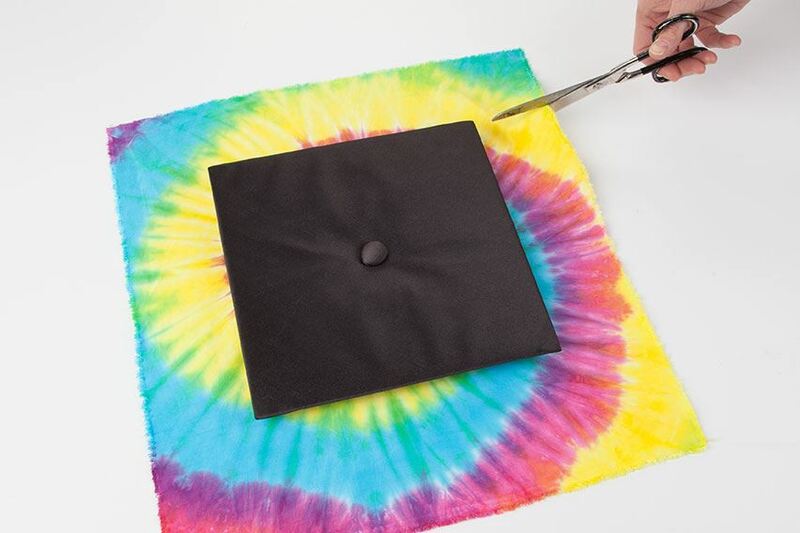 Cut fabric to fit around cap. 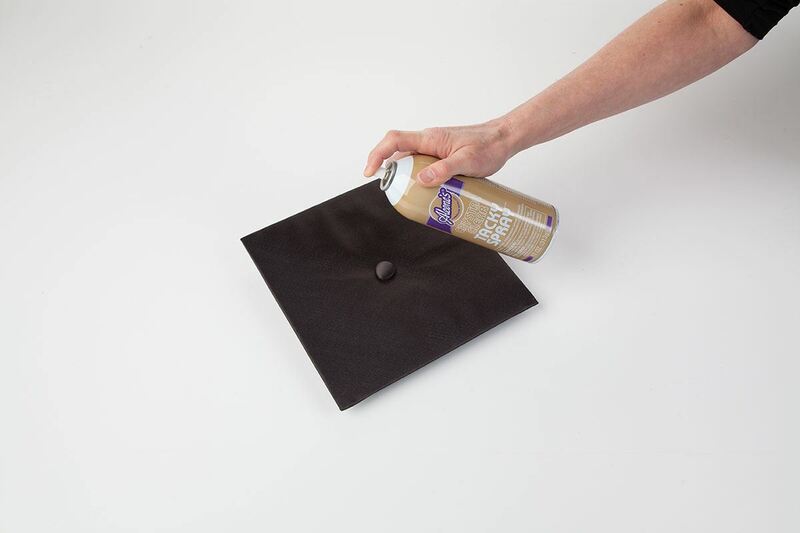 Spray top of cap with Crystal Clear Tacky Spray. 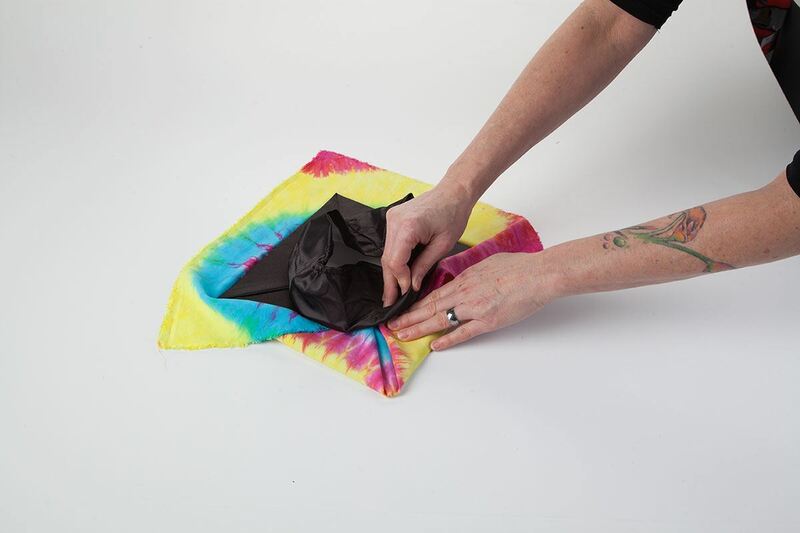 Press cap onto fabric and fold edges to underside to secure.